Measures 48" Wide x 19" Deep x 14" High and features an additional 4 expandable bottom for jumbo sized loads. Made exclusively for Quadratec, this amazing value has quality construction features like fully waterproof PVC Coated nylon material, industrial zippers, hook & loop storm flap closures and heat sealed seams. 6 built-in cinch down straps keep the cargo bag secured to your rack. 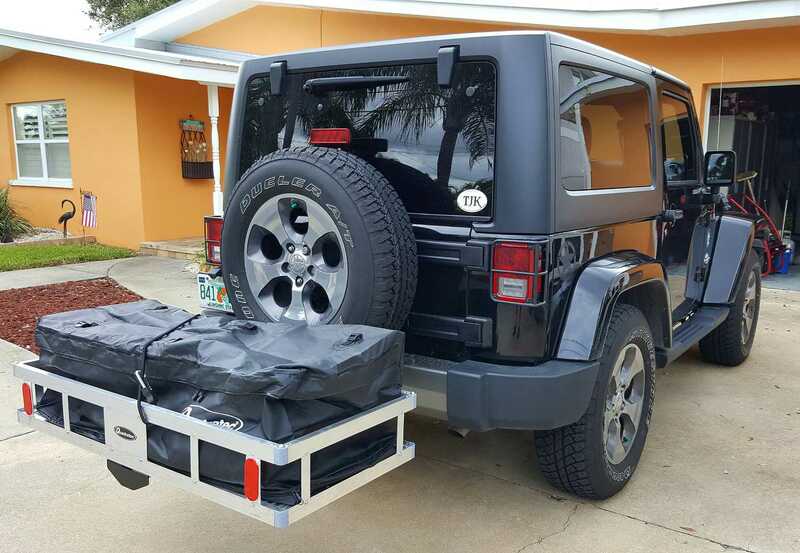 The Jumbo Cargo Storage Bag provides 15 cubic feet of rainproof storage for large bulky items like sleeping bags, pillows, clothes, golf clubs and camping gear. Easy to clean with just a garden hose. Not sealed for water submersion. Cargo bag with contents must not weight more that the specified capacity of the rack. This bag fit my cargo carrier very well. It is very durable and the extra zipper extension to give a couple extra inches was perfect. I was able to get 1 full size suit case, along with 3 carry on size suit cases, plus one medium size duffel bag to fit inside this thing. The photos show the straps holding the bag in place, but I did run a couple of ratchet straps across it as an OCD precaution, but really wasn't necessary. The seams are done well and had no issues with leaking during the heavy downpours. This was way better than using a tarp and having it flap around. We had 7 of us in a Chevy Trailblazer driving through several states. This was a great purchase to keep our stuff clean and dry. worked great! over 3k miles with heavy rain storms and stayed completely dry and secure. Big, sturdy and expandable. Only wish it had handles on either side so you could easily lift it off the carrier without emptying it first. Other than that, performs as expected. 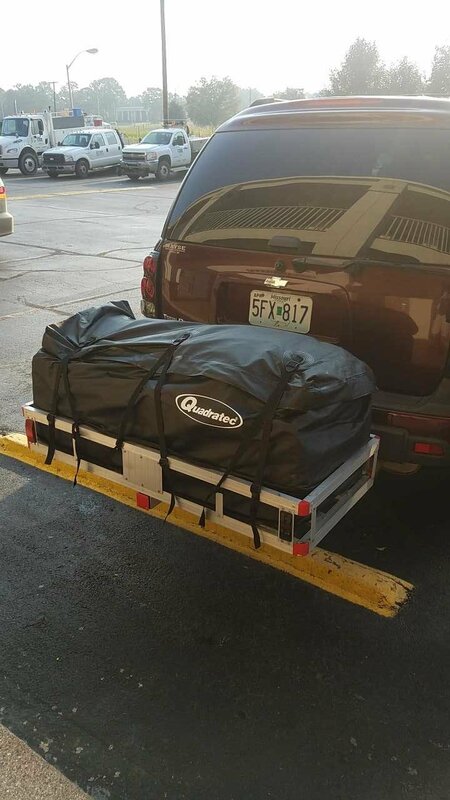 Does this bag fit in the VersaHitch cargo rack? Thanks!